Why Does My Cat Attack Me When I Pet Him? Have you ever been petting your cat when, WHAM! Suddenly he or she seems to go crazy, swatting and biting at you? Maybe he even rolls on his side so he can get at you with all four razor-tipped feet. What in heaven's name is going on here? Is your cat suddenly demon-possessed? Not really. 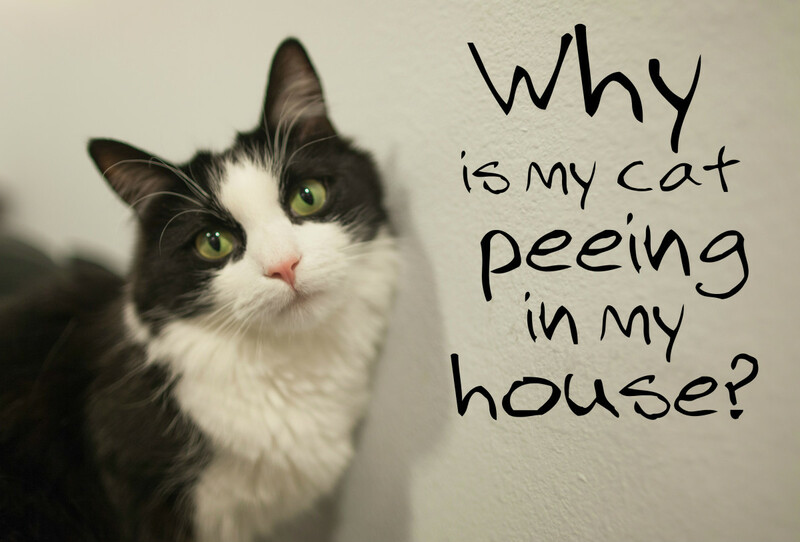 This behavior is puzzling and even frustrating for a cat owner, but there's usually a reason for it. Keep in mind that all kitties have different personalities. 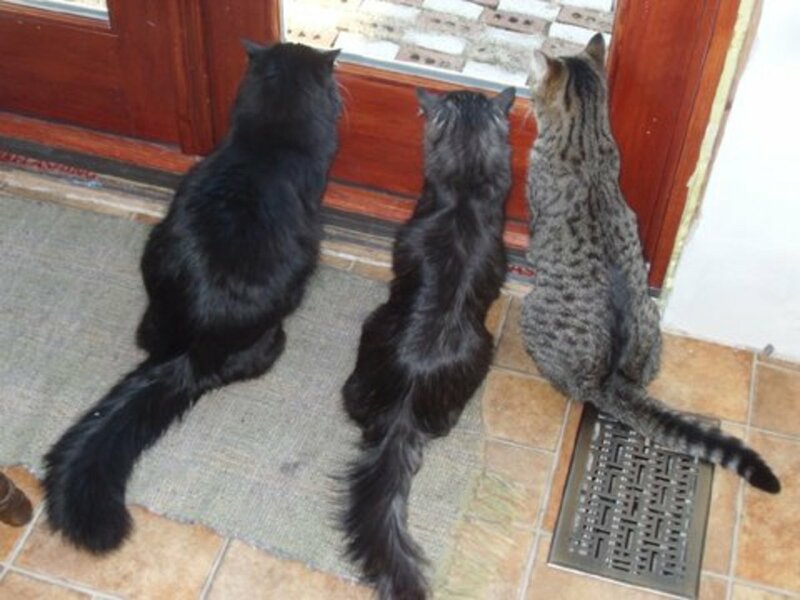 Three felines share our home, and they are as different as day and night. Nuge reminds me of Tigger from the Winnie the Pooh movie. She's full of energy and bounces around nearly nonstop. When she wants attention, she's not shy about asking for it! Kizzie is quiet and reserved, but she doesn't have any problem keeping the other two cats in line. Her favorite place is curled up on my lap. In fact, that's where she is right now, as I'm writing this. Winston is large and in charge. He's a big boy who tends to nip, so we need to let him know who's the boss on a regular basis. But he's extremely affectionate, and sleeps curled up behind my knees all night long. Some people have the idea that all cats are alike, but that's definitely not true. 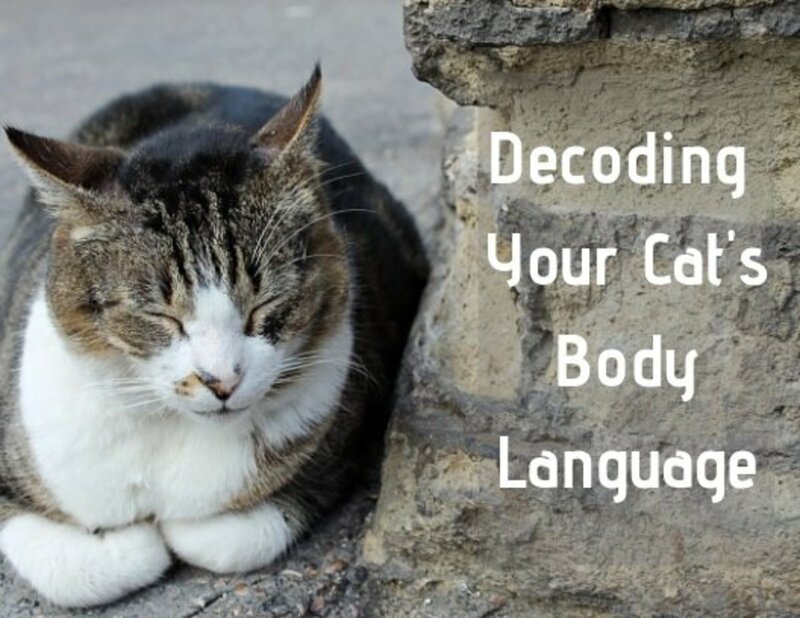 How your furball behaves depends a lot on his or her personality. It also depends on their backgrounds. Kizzie came from the local animal shelter, so I don't know anything about her life before she came to live with us. She's very shy around men, and it took her a long time to warm up to my husband. But she's OK with him now. 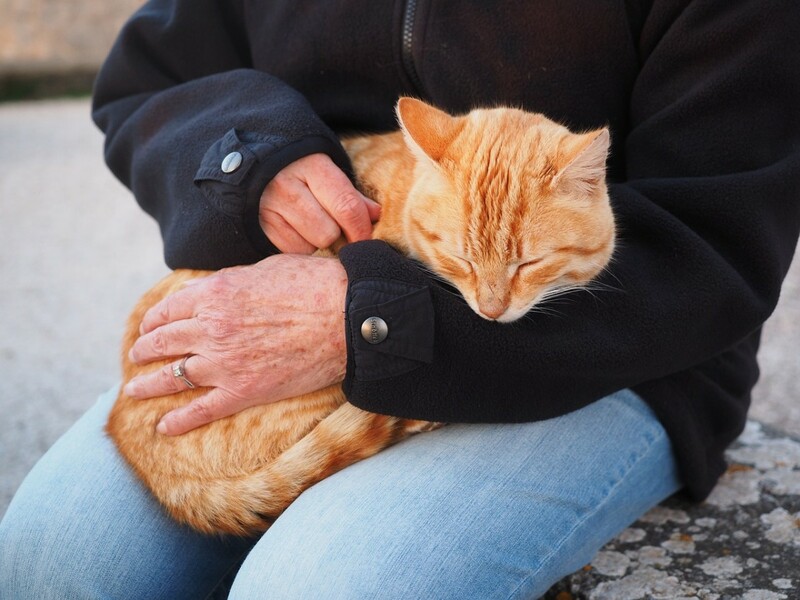 When you bring home your new kitty, you may expect a friendly cat who will quickly become a companion and lap baby. But sometimes the cat has a different idea. Some kitties will love to curl up in your lap, while others could care less. Cat behavior can seem puzzling, but the truth is that felines are extremely predictable animals who seldom do anything without a reason. If you can figure out why your cat does a certain thing, the chances are you'll be able to encourage her to do something different. Your kitty may never be the cat you expected, but the cat you have will be a great addition to your family. 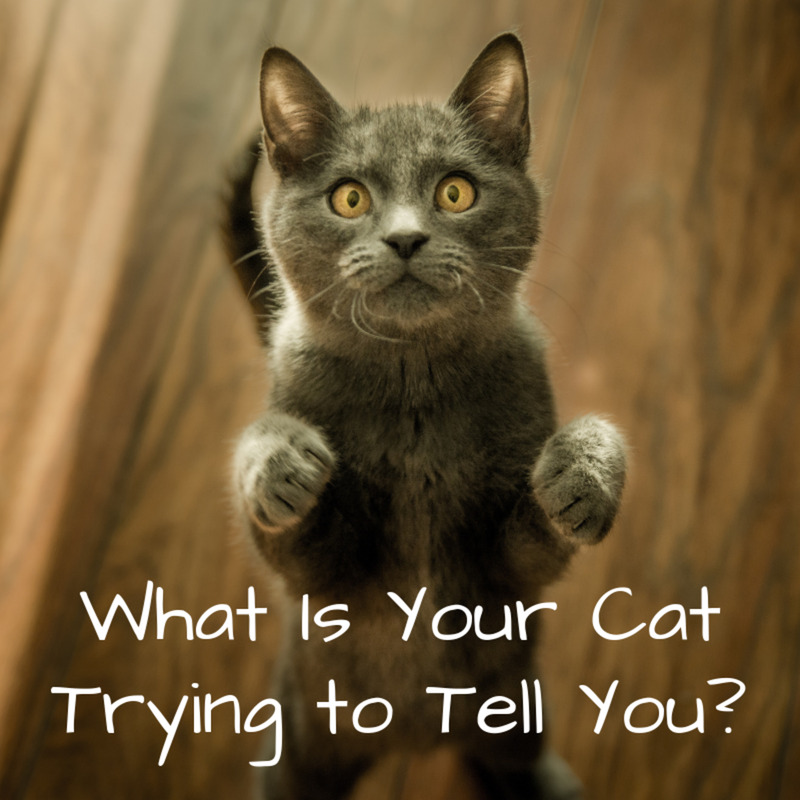 Has There Been A Sudden Change in Your Cat's Behavior? If your formerly sweet kitty has suddenly turned into a meanie, the first thing you should do is take your furry friend to the vet for a check-up. He or she could be suffering from an ear infection, a toothache, or a urinary tract infection. 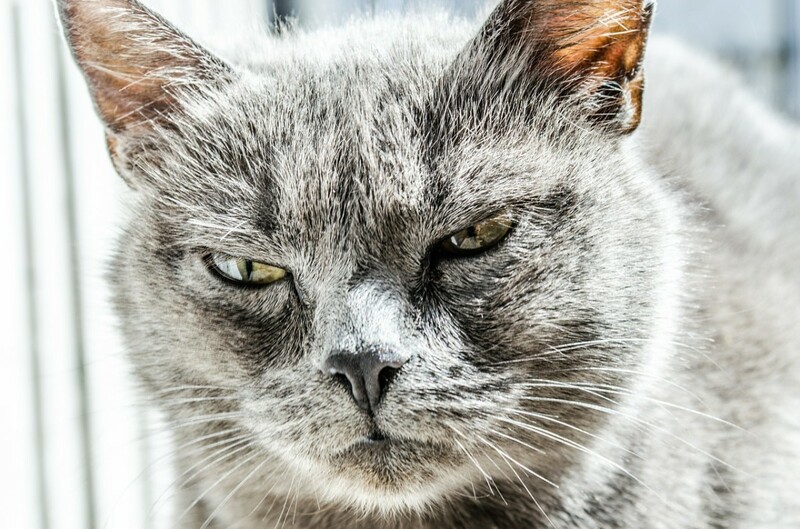 There are many painful conditions that can turn an even-tempered cat into an old grouch. 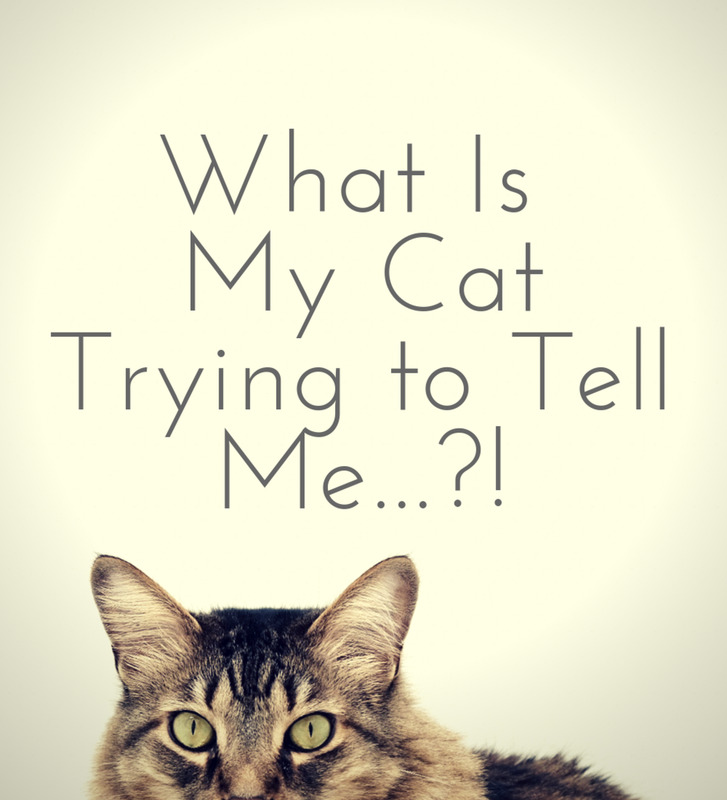 Cats are very adept at hiding illnesses, so don't assume that you'd notice if she was sick. Moving to a new home. All of a sudden your kitty is in a strange place, away from everything he knew. It's not like you can sit down and explain it to him. Someone in the family starting a new job, and being gone all day, especially when they've been home before. Cats do get attached to people, and they don't understand when someone is missing all of a sudden. Someone moving into or out of the household. A new person, or the absence of one who has always been there can be upsetting. And of course, if you're upset about the situation, your cat will feed off your anxiety. A new baby. This new little person is taking up all your time and attention. Your lap is not as available as it was, and you don't have so much time for your feline friend any more. Too many animals in the household. Sometimes two is too many! Some cats do well with companions, and others don't. A new puppy or kitten. I remember when my husband brought Nuge home; Winston and Kizzie were less than pleased. Nuge totally turned everything upside down around here for a while. Being indoors. We keep our kitties inside because that's the safest place for them. But being inside all the time is an unnatural environment for a cat, which leads to stress. They need lots of playtime, and space to run around and blow off steam. Seeing another cat through the window. Cats are very territorial, and seeing another kitty in their territory will set them off. Home remodeling. Things are moved around, walls get painted or papered. There are lots of strange smells, and everything is different. There are any number of things that can cause stress for our felines. And a cat who is stressed can respond in a number of ways, including nipping or biting at his owner. Cats normally don't bite out of fear, like dogs do. A cat who is scared or stressed will run away and hide, unless she's unable to escape. 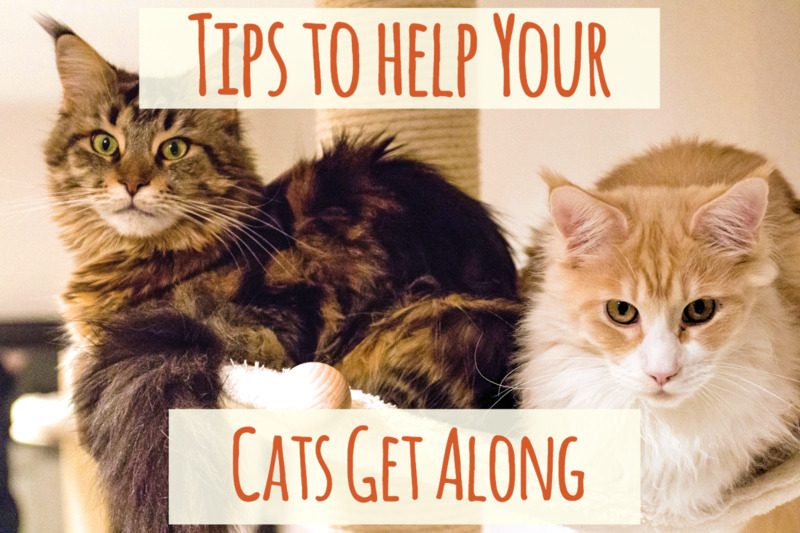 Be sure your cat always has a safe place where she can get away from from stressful situations, including children, other cats or kittens, or dogs or puppies. Playful cats can be quite aggressive. My cats chase each other around, while bouncing off the walls and furniture. It looks scary sometimes, but usually it doesn't mean a thing. Cats need to blow off energy, and laying in wait and attacking each other is one way they do it. Kittens and young cats can be pretty rough with each other. Kittens especially will play fight, with lots of biting and scratching. This is how they learn hunting skills they may need as adults. However, your kitten shouldn't be playing with you like this. While biting and scratching are normal parts of cat behavior, your kitten needs to learn that you're not another cat. Nor are you a plaything. Never encourage your kitten to play aggressively with you. Attacking your hand may be cute when she's a kitten, but it's not so much fun when she's a full-grown cat, armed with full-size teeth and claws. And of course, there's petting-induced aggression. This is when your feline friend suddenly doesn't seem so friendly anymore after you've been petting him for a few minutes. He may give you a dirty look, nip or bite you, and then run off. You're left to wonder, "What is his problem?" Remember that cats are very sensory-orlented creatures. They may enjoy being stroked and petted for a few minutes, but it becomes unpleasant, even painful, if it goes on too long. Supposed someone was rubbing your arm or your back in the same place, and they just kept doing it, even though you want them to stop. It's the same with your cat. You probably don't realize how upset he's getting. You think he's enjoying being petted, but he's just getting more and more annoyed, until finally, he turns around and lets you have it. Did you watch the video above? 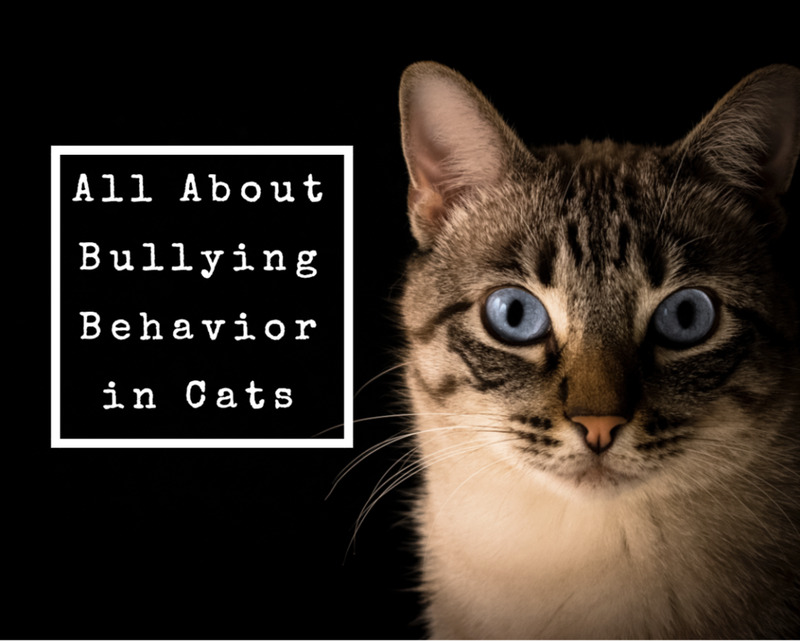 It explains why your cat might attack you, seemingly out of the blue, when you're petting him or her. This behavior can be frustrating, especially when the cat was asking to be petted. Your cat will narrow his eyes and lay his ears back. He may suddenly turn his head towards your hand as you pet him. He'll switch his tail from side to side. You may notice his eyes becoming dilated. He may become restless and act like he wants to jump off your lap. Pay attention when you're petting your kitty. Avoid those long strokes down the body, and let your cat guide your finger, as shown in the video, to choose where he or she wants to be petted. And always be sure your cat can leave when he or she wants to. Be alert to your cat's behavior cues. A cat often bites because the human doesn't understand what he or she is trying to say. When your kitty is signaling you that he's had enough petting for now, it's best to listen to him. Otherwise he may drive home the point with his teeth and claws. Avoid touching your cat's belly. This is an area cats instinctively protect. Pet your buddy behind her ears and under her chin instead. 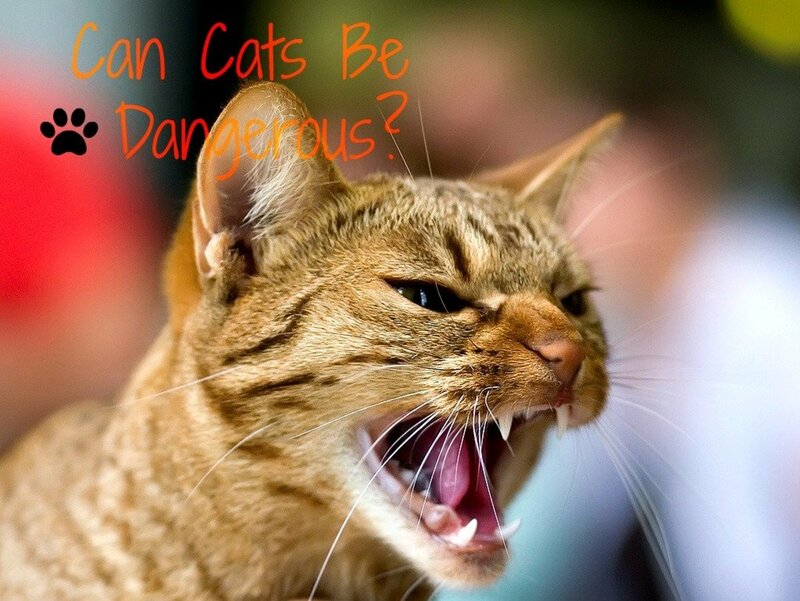 Your cat needs to learn that he can't bite you or be aggressive towards you. It's up to you to teach your cat some manners by showing him that being petted is a privilege, not a right. When your cat wants to be affectionate, let him sit in your lap and pet him gently, around the head and ears. Don't restrain him. After a short time, and before he starts showing signs of aggression, put him back on the floor and play with him or give him a treat or toy. Make each petting session a little longer before you put him down and play with him. Watch his body language. If he starts giving you those sidewise looks and begins to twitch his tail, end the session before he can bite you. If he does manage to bite or attack you, dump him off your lap and make him wait a while before you let him come back. He needs to get the message that you're in charge. Your cat may never be a sweet, cuddly lap baby, but with time and patience, you can improve your relationship with your formerly evil cat. I've always pet my cats the wayI think their mamma may have. Watch mother cats caring for their babies.They lick their eyes, lick their lips and mouths,their ears,the side of their cheeks and the tops of their heads,their necks where mamma carried them and under their chins and necks. Did you ever see a mamma cat lick her kittens back? No. 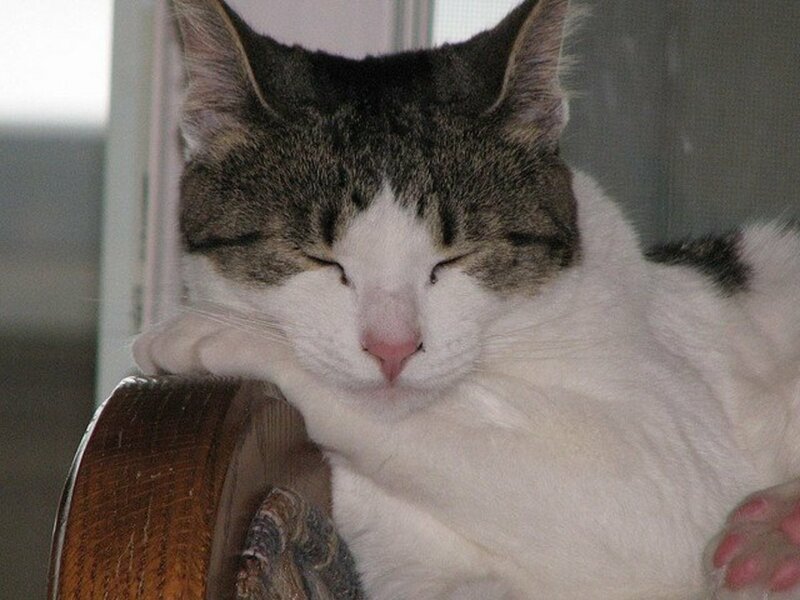 Many cats love their noses rubbed on up to their ears. Humans,please, do not lick your cats!!! I'm suggesting you just use a finger or two,very lightly.